news Logistics giant Toll has revealed plans to dump its plans to outsource key parts of its IT infrastructure, as well as application support and development, in a rapid and unexpected turnaround. Yesterday, Toll group director of Corporate Affairs Andrew Ethell issued an internal email at the company, which has been sighted by Delimiter. In the email, Ethell announced a decision to “stop” Toll’s Global Technology Transformation (GTT) project. Not much is known about the GTT project outside Toll, but Crikey reported in February this year that the company was considering outsourcing key aspects of its IT operation, with suppliers such as Optus and Infosys in consideration. 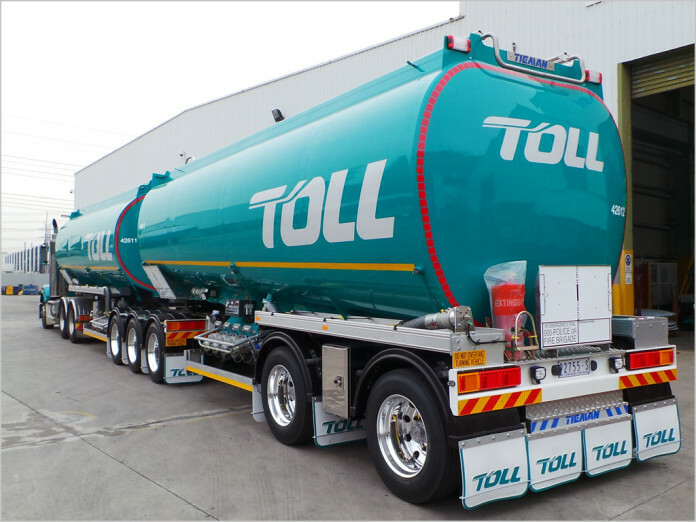 At the time, Toll Group spokesperson Christopher Whitefield told Crikey that the program of work would take about 18 months. Ethell said in his email that the GTT project had been established to outsource part of Toll’s IT infrastructure and application support and development tasks. The project was one a number of significant transformation projcts currently underway in Toll, he said. However, Ethell noted that a GTT project review of the last six weeks had validated the net business benefits as being “lower than expected”. Ethell said Toll remained committed to its technology principles which were “an important plank” in the company’s strategy, and included: A best in class, streamlined and cost efficient IT environment ; Resources focused on value-add activities; Industry leading technology capability; The ability to rapidly deploy new business solutions globally; And the ability to leverage Toll’s scale to maximise procurement opportunities. Delimiter has invited Toll to comment further on the situation. Very interesting move from Toll. It is quite rare that a company decides to go through an IT outsourcing process and then abandons the effort as it is being implemented. So what do I think is happening here? I suspect that what is going on is that Toll has realised that its business — logistics and transportation — is fundamentally based in 2015 on having solid internal technology platforms. As it went through the process of IT outsourcing, I suspect it realised that it would be trading away some of its competitive advantage if it did not retain some of these systems in-house and keep on focusing on developing them itself. Either that, or its IT infrastructure is not mature enough to go through an outsourcing process (you see this in some organisations that have not stayed up to date with their underlying base IT infrastructure platforms — hardware, software, virtualisation etc). This article from iTnews would appear to support that theory, detailing as it does a number of legacy platforms at Toll. Either way, it is fascinating to see this happen. I would welcome (probably anonymous) comments from anyone who could fill us in on what is likely to be happening inside Toll at the moment. A few years ago, working as a consultant, I designed a number of core systems for Toll. What I observed there was a very sound ICT strategy with a dedicated team looking after it. I suspect that during this exercise they realised that the grass isn’t always greener and there would be a good chance that any outsourcing arrangement would likely result in a reduction in services in a company where even brief outages can have catastrophic financial implications. I just killed the pilot during the flight because the spreadsheet said we don’t need a pilot. There are indications the plane can fly on its own. But then we realised the plane crashed killing everyone. That’s fine, we have strong governance processes in place and now we know we should have never killed the pilot. ‘We will be having face to face communications; as scheduled, with our impacted employees to communicate this change and our priority remains to support our customers and employees‘, so don’t worry, we tell by your coffin we changed the strategy. Yes, I agree, the damage to Toll IT is significant. But your blame statement (“Epic failure on John Ansley”) is very misguided and to be honest, the type of narrow mindedness that has Toll IT in trouble in the first place. I can only ask that you look at this a little more holistically. Outsourcing isnt just dishing it all off completely. You cannot trust ibm, sap etc to do anything well. My guess is toll realise this now, and have decided to let contractors provide particular facilities but run and manage them internally. Thats sensible. Contracting your core capability to the oracles of this world is beyond sociopathic. This has been a monumental stuff up by Toll management. They have treated staff appallingly over the last 6-8 months first telling us that we weren’t required anymore and an outsourcing company from India was taking over all our jobs and we needed to transition our roles to these people. We were even given letters with indicitative end dates so we could start preparing for our futures. Workshops were held on how to write resumes, how to cope with change and how to calculate your redundancy packages. EAP services were set up to assist people through this period of change. All good thinks but such a joke now. Then we were told the program had been paused while a review of the program was being done and now it has been stopped. And oh, we are sorry for the stress and pain this has caused but let’s just get back to it and move on. Are the kidding?? What company can treat their staff like this and honestly just expect that it’s back to normal without any consequences? To say morale in very low right now is an understatement. I for one will never trust anything senior management has to say. Good luck to Toll on your efforts to rebuild but to be honest with the key staff that have already left Toll and the damage that has been done it will be a hard task to rebuild. This whole thing has been a massive failure on behalf of the CIO and the GM of GIS. It’s disgusting and you should all be ashamed for treating staff like pawns!!!!!! Stupid doing the stupid, another stupid stop the stupid…..and stupid… keep happen and happen……! Next word, let me guess…. stupid? Or am I being stupid too? Shaked the smarter out….. then keeping the………here…..! Wahahaha! Good luck. I can understand that it would be a volatile environment and somewhat of a roller coaster ride. On the flip side, People in IT tend to have very good choices due to industry demand. So I don’t think it’s blackmail. Thats pretty heavy language to use isn’t it? You either stay or look for another job and leave if you don’t like it. It can be that simple. Or if you don’t like it you spend time waiting to be paid out. Where it gets messy is when people believe they are entitled to things. Hang on. You have been paid well for 5 years already. If you want this “bonus” then hang about. Otherwise you should come to the understanding its not right and go. Don’t get caught in the trap of having your cake and eat it. I’d suggest that the appropriate due diligence was not completed during the business case, and a like for like comparison did not exist for the functions that Toll’s staff were peforming vs the functions the oustources were to deliver hence resulting is a significant cost increase or eroded benefits. Its interesting that Toll would commit to a number of large scale transformation programs requiring a united effort from the whole of business and IT, yet go and outsource most of its IT function loosing much of the skilled workforce and IP required to deliver these programs. Beyond these issues there must be a significant cultural problem, lack of strategic direction, limited to no collaboration and poor executive leadership (business and IT). Toll is and will forever be a mix of independent businesses trying to behave as one organisation but acting solely in the interests of individual executives ego’s. A clean up of the executive team is required, investment in its people and a strategy to drive the right outcomes and culture before the business can no longer compete when times get tougher. I agree with you that there is a significant cultural problem, emanating from the business and very, very top leadership. I think someone like John Ansley will have an A++ strategy. So I don’t think it was the strategy – it would have been articulated and endorsed. This is evident by initiation of programs such as GTT. Sounds like executives out in the Kinder, to me – guarding sand pits and cubby houses. This is what happens when an outsourcing effort is driven by accountants and not IT professionals that actually have a clue in this area of expertise. John Ansley should be sacked over this WITHOUT a golden handshake. You just watch the other project (cleverly named WTF – Workplace of The Future or Google replacing Microsoft) suffer the same train wreck. What a joke!!! I guess well, you’re annoyed. I get that. It won’t have been fun for anyone there. The guy has been trying to get the organisation out of the dark ages. Workplace of the Future – Cleverly named WoTF, not WTF… I guess to make a funny joke you could try and remove the o, to suit your purposes. Ha! Good stuff! Have you tried Google Apps? Or a Chromebook? I mean really tried it for a period? Perhaps you still have a Microsoft phone, long for an Internet Explorer upgrade and use Bing. You also enjoy trying to screen capture blue screens. Now I get why you would be really annoyed. It appears that there is a clear lack of accountability and leadership at Toll from the very top down. I wonder what the toll values and behaviours are, someone at Toll could probably share them… It would be even more interesting to see if the senior executive group embody these and how they help their people to be successful. This business is a dinosaur, still embodying a trucking ethos from decades ago. Only successful businesses empower their people, make them accountable for their decisions and importantly enable a culture to achieve this. Toll executives play the victim mentality, there is no acciuntability and it costs the business dearly. The toll culture needs to change to be a progressive organisation and inevitability this is a business issue, they need to take responsibility for their actions. Out with the old and in with the new! Here, here. Toll needs to get out of the 1990s fiefdom/feudal mode and get with the 21st century as technology-enabled logistics leader. John Ansley is not the problem. He has a solution that puts transparency, accountability and performance into the old guard’s soloed empires…those with the most to lose and those on the generous contractor payroll have clearly prevailed. A sad day for Australian productivity and making room for innovation. This business is a dinosaur, still embodying a trucking ethos from decades ago. Only successful business empower their people, make them accoutable for their decisions and importantly enable them to be accountable. Toll executives plays the victim mentality, there is no acciuntability. While I can sympathise with employees in Toll, it sounds like management tried to give everyone a heads up. They could have simply installed the system and THEN let you go. In reality, business is run by people – albeit not very well sometimes. At least it wasn’t a “push this through against all odds mentality” that dogs many government projects – hello Queensland Health! And yes, I’m sure they’ll suffer for a while because they lost some valuable people, however, that doesn’t mean that the rest of you there can’t step up and become the next valuable person. PS. I’ve been in IT for 20 years, it’s my job to optimise businesses and remove manual processes. It’s not Toll’s management fault that the world’s changing. Adam: Damned if you do, damned if you don’t! It is a shame and potentially positive that the outsourcing initiatives have ceased. Like a blessing in disguise. From past experience with Toll, management were never their strong suit. There were the hopeless managers whom were simply Yes people for those above, and then there were some great managers, whom, I believe left after seeing how bad management really was. The staff are what made Toll an enjoyable place to stay, the people made it worth while and continued to keep the business up-to-date although at times against management wishes. This could be the opportunity that Toll have been waiting for, to get great people in to do great things and to do them right. Hopefully this is taken on board and we hear wonderful things in the future. I wondet how many millions they spent before realising the ‘benefits were lower than expected’ or potentially how many more millions to rectify? Makes you wonder where the governance was prior to the outsource decision as it should be a simple equation to work out current cost vs outsource cost (assuming similar levels of service)..? I guess Japan Post should consider this case and stop all the bonuses and commmission to the top management Execs/Staff/CIO’s, Toll should be fair and give all the staff their increments who have supported the company for the past 10 yrs and without any yearly increments. The only reason the top management gave was no budget and now lost a lot of money thus affecting all the employees who are on low salary its very hard on families who have to go through situations where the rich are not affected but they continue to get bonuses and perks. The market conditions and prices on daily commodities have changed and no increament given by Toll, Hope someone can give some thaught and bring it to the notice of the Japan Post management or steering committee. Yep MD probably gets a million dollar bonus along with all those senior executive directors and the business is underperforming what a joke! All the top execs should be accountable such an appalling outcome sounds like they put their staff through the wringer! IT is seen only as a cost in these poorly run businesses. If I recall the last CIO was marched unceremoniously. Perhaps a broader issue here time will tell if history shall repeat itself. Patterns seem to point towards a cultural issue. IT @ Toll is a mixed bag at best. Essentially there are at minimum 7 disparate IT groups aligned to divisions and central IT. In reality there is more like 20+ across the individual business lines. The CIO really has no control over these with the exception of the central IT group. The outsource strategy no doubt from the comments above had its failings would have at least delivered some sort of a central IT delivery capability. There are better ways to achieve this however the CIO probably saw this as the most effective. In the end we are all accoutable for our actions or at least we should be. Ultimately the divisions have the power and it suits them to maintain control when its in their best interests only. Its a difficult job being CIO at Toll and im sure any potential incoming CIO would now think twice about joining Toll. Ill go out on a limb and suggest that Toll needed a CIO like John, but what they need more is a coherent executive group who aren’t solely focused on their verticals but are more concerned about the company interests as a whole. Imagine having 5+ CIOs, numerous GMs of IT, countless IT managers all trying to assert their own interests, technology and processes across the group and many having no interest other than developing their own egos. Toll needs to finally realise a consolidated IT group driven by a group wide coherent business and IT strategy. With a 600+ strong IT force Toll could achieve marvelous outcomes. Im afraid Toll will never see the insanity of the current IT org and things will continue like this for years to come. +1. Problem is not John he had a vision, tried to realise it and when the going got tough the knives came out. Sure he may not have had a strong leadership team but most importantly ditch the distributed IT, realise there is only one CIO and everyone at Toll get on board for the ride! Surprise, surprise, CIO John Ansley has ‘resigned’. Who knew that was coming (lol).